Being the social butterfly you are, it’s safe to assume you have plenty of special people on your holiday shopping list this year. Regardless of whom you’re shopping for, accessories, particularly shoes and bags, almost never disappoint. Luckily, Italian luxury brand FORZIERI has culled some of its chicest pieces to make your holiday shopping experience that much easier. Whether you’re looking for your go-getter friend who’s always working or your fashion-forward sister, you’ll have plenty of options to choose from. Scroll down to shop the best selection of shoes and bags on FORZIERI. For the person on your list who likes to stand out, this bright clutch makes a bold statement. Fringe and gold studs? Your chic punk-loving friend would love these white leather booties. 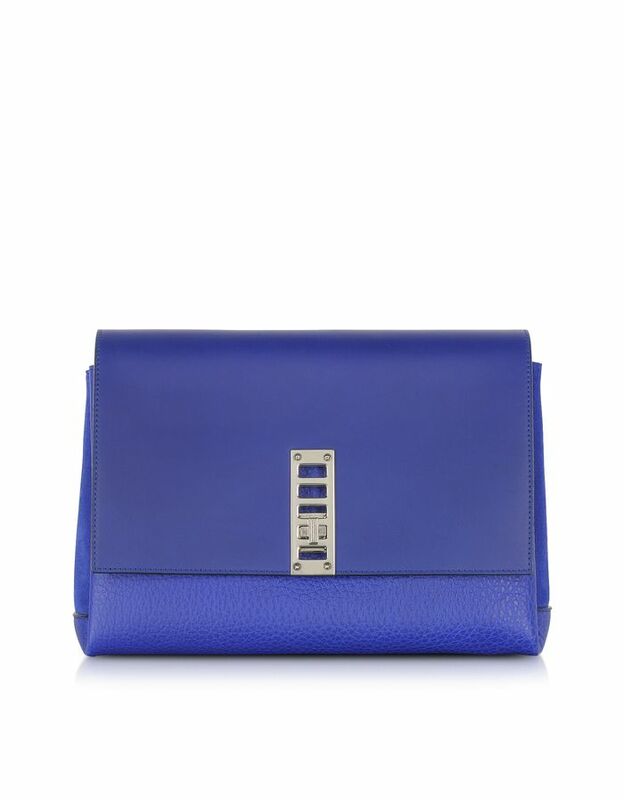 From its size and shape to its classic color, this bag would work well in any closet. Beautiful stitching and gold hardware makes this bag ideal for your friend with feminine, classic sensibilities. Have a friend with a retro sense of style? Buy her these playful Mary Janes, which come with an exaggerated chunky heel. A detail-oriented friend will love these boots’ interesting features, including its geometric lacquered heel. Ladylike but still a little edgy, this pastel satchel will brighten up a gloomy winter day. For the girl who gravitates towards edgy pieces, these cutout ankle boots are a must. The busy professional who’s always going straight from work to after-hours cocktails will appreciate this structured bag that works for any occasion. Treat a nightlife-loving girlfriend to these ankle-strap sandals, which are perfect for GNOs and dinner dates. For that special someone who tends to forget her things, a hands-free bag with plenty of room is always a good idea. Shop more holiday gifts from Forzieri!